Everyone likes to polish their shoes and head out for a sophisticated meal every now and again, but doing it on the cheap can be rather tricky. However Blues Restaurant and Bar have a special running that is sure to hook a brother up. Strike while the fish is fresh! 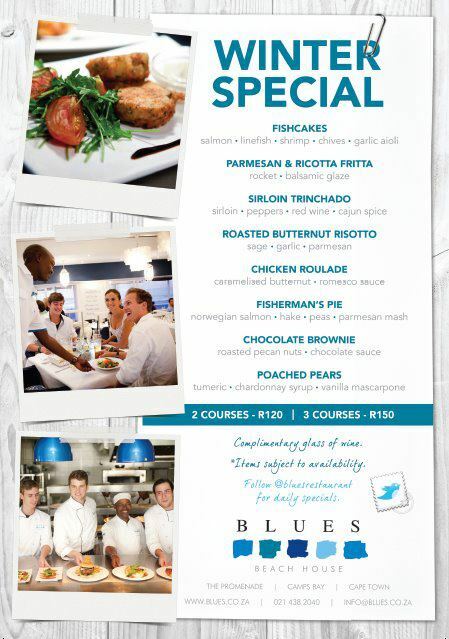 Blues is offering a 2 course meal for R120 and a 3 course meal for R150 from a very tantalizing set menu. The options include a Fisherman’s Pie, Sirloin Trinchado, Poached Pears and more. You also receive a complimentary glass of wine. Items are subject to availability. Blues can be found on the Camps Bay promenade and if you would like to make a booking you can call them on 021 438 2040. Click here for directions. Enjoy! 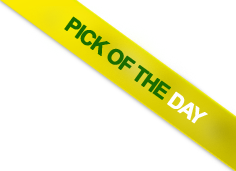 This entry was posted on Wednesday, August 29th, 2012 at 2:18 pm	and is filed under Specials. You can follow any comments to this entry through the RSS 2.0 feed. You can leave a comment, or trackback from your own site.